Every Wednesday we meet on grit or limestone through to September. We mix between Almscliff, Caley and Shipley Glen. Other locations are added to improve the mix and suit the weather as the season progresses. Specific details are included in the calendar for each week. Bouldering, trad, sport are all included. New members are welcome. We keep in regular touch via facebook to reorganise if the weather is poor or we like the idea of a new venue. 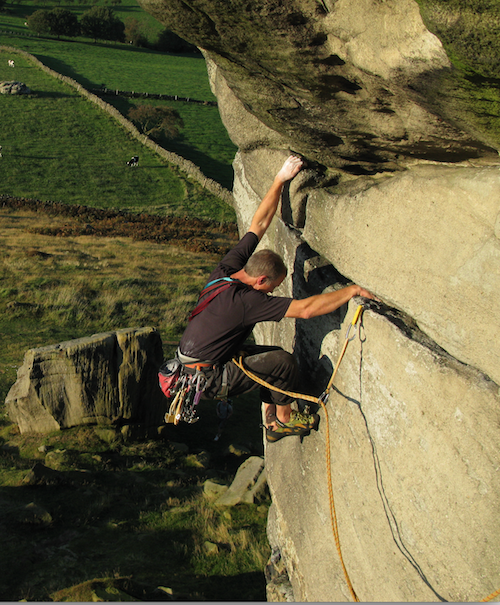 On the longer evenings we will arrange to climb on Yorkshire limestone. Ideas are welcome, keep in touch and come and join us.